Welcome to Garpen Lighthouse! 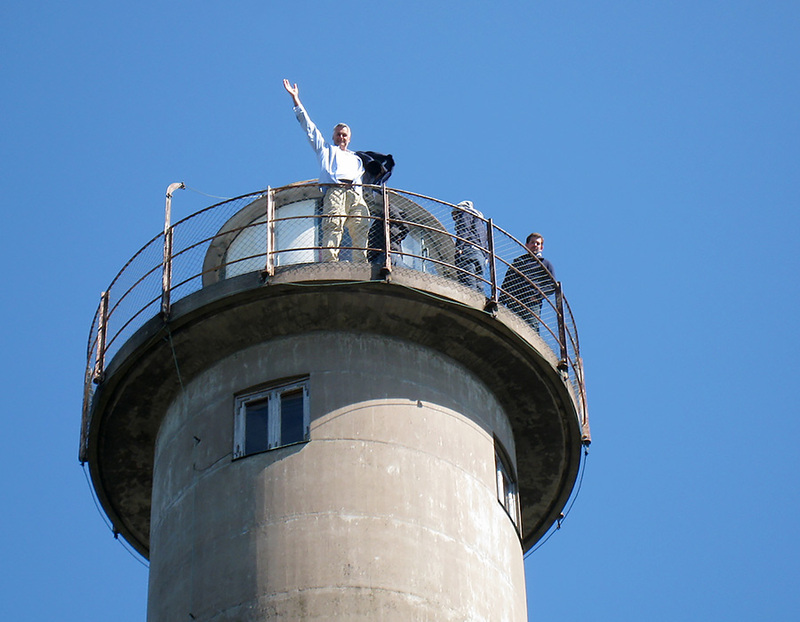 Take the opportunity to visit Lighthouse Garpen in Kalmarsund. Its unique environment and historic surroundings makes this island a real gem. 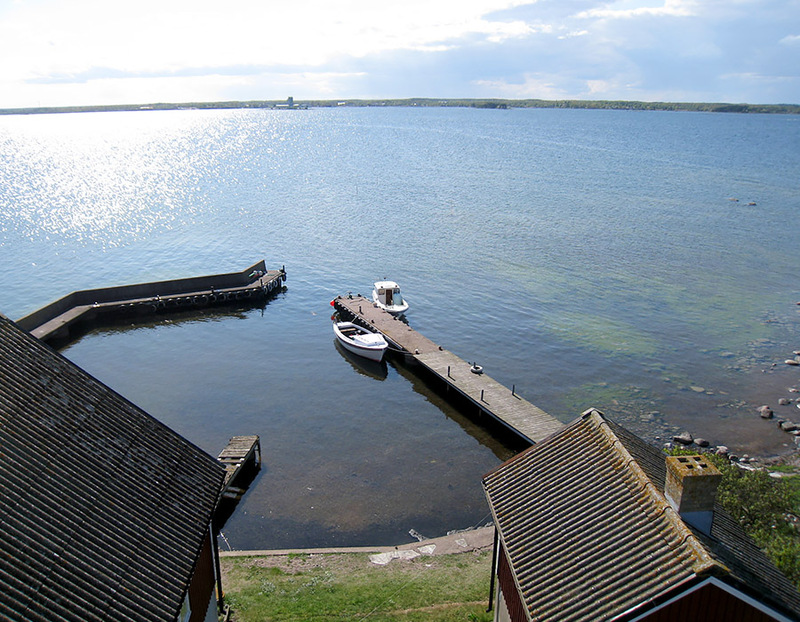 The island is open to the public from June 1 to September 15 and there are communications by boat from Bergkvara Marina. You have reached the island within 15 minutes. Experience and enjoy the peaceful surroundings. We offer Bed & Breakfast with facilities for up to 20 overnight guests in double rooms and family rooms. On Garpen we have a small restaurant/café where you can enjoy your meal. As a visitor you can spend the day or stay overnight on Garpen. The buildings on the island are more or less intact from the time that the lighthouse station was built. We wish you a pleasant stay at Garpen Lighthouse. 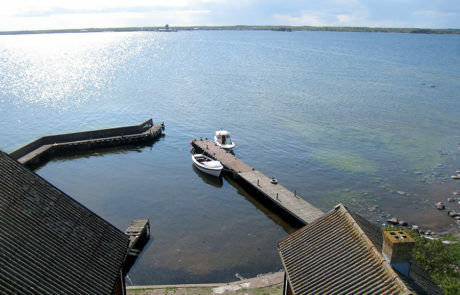 A Scandinavian summers dream, romantic and relaxing. 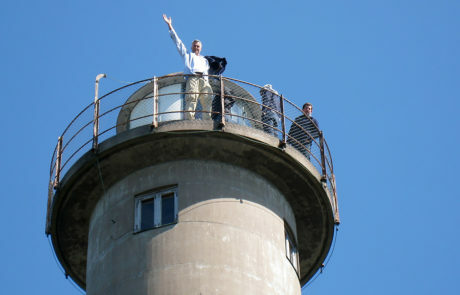 Naturally it is a ”must” to visit the balcony at the top of the lighthouse. Count the steps to the top where you will see the breathtaking panoramic views that Garpen Lighthouse has to offer. 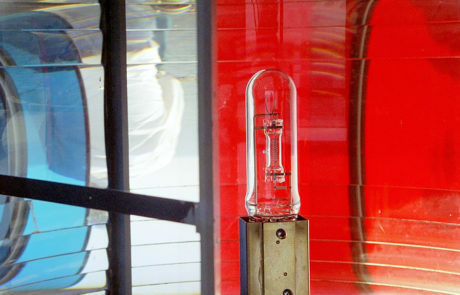 You can also visit the small lighthouse exhibition which is situated close by. The event is always held on the 3rd full weekend in August. 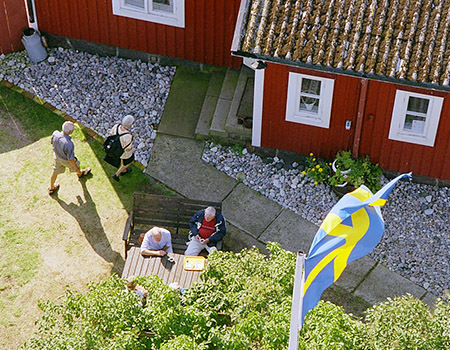 Many lighthouses in Sweden and around the world are open to the public. More specific information about the boat departures to the island these days will be found under “Boattrips to Garpen”. Welcome to the our lighthouse this weekend. 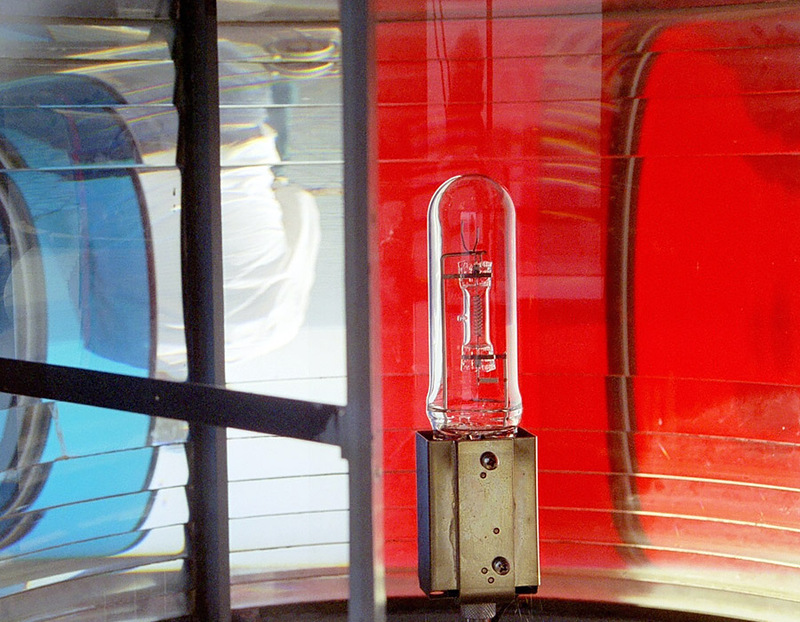 The first lighthouse was built as early as 1893. The material used was red and yellow brick, which however decomposed and cracked due to frost. For this reason the lighthouse was replaced in 1934 with a concrete tower, equipped with 119 steps. A succession of lighthouse masters and lighthouse keepers and their families have resided on Garpen. During the 1930’s as many as 16 persons inhabited the island. The personnel worked in shifts throughout the night keeping a lookout for ships and ensuring the maintenance of the lighthouse. During the wintertime connections with the mainland could be severed due to ice obstacles for up to 14 days. The last functionaries left Garpen in 1967, when automation took over. Welcome to Garpen Lighthouse. We hope you will have a pleasant and enjoyable stay here. The following rules have been established to ensure a quality experience for everyone. “The Right of Common Access” applies (“Allemansrätt”: access to private land by the public for non-destructive recreation). Garpen is an island with limited resources. Please be extra careful with the water usage. Respect the restrictions and keep your distance to bird’s nests during breeding season. Remember that many dogs dislike the boat trip. In view of the risk of allergies among employees and guests pets are not allowed indoors or on the restaurant terrace. Packed lunches must be eaten at specified locations. Help us keep the entire island, including buildings, clean and free from litter. Use the garbage containers provided and don’t forget to manage your waste and recycle! Leave public places (toilets, kitchen etc.) in the same condition in which you yourself wish to find them. Please show consideration to others. Peace and quiet should be enjoyed by everyone between the hours of 11pm and 7am. Camping is not permitted on the island. Your own boat may be tied to a designated berth. Please ask the island hosts for directions. Please respect the environment – it needs your protection. The flowers are most beautiful left standing for all to enjoy. You are welcome to climb up the lighthouse, but at your own risk. An adult must always accompany children.